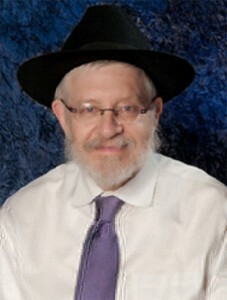 Rabbi Binyomin Lisbon (b. 1950) is the founder of Kosher Supervision of America (KSA), one of America’s premier kosher certifying agencies. Born in Massachusetts, Rabbi Lisbon is the son of Holocaust survivors. He attended the Hebrew Day School in Worcester and graduated high school in Montréal, Canada. As a student, Rabbi Binyomin Lisbon was a member of the ‘Summer Jewish Peace Corps,’ known as Merkos Shlichus, where students travel in pairs visiting Jewish communities to bring education and inspiration while promoting Jewish values. While in Canada, Rabbi Binyomin Lisbon received rabbinical ordination from the Rabbinical College of Canada. In 1969, Rabbi Binyomin Lisbon departed North America for Israel where he studied and volunteered in the Chabad Outreach Program in Jerusalem for one year. Following that time in Israel, Rabbi Binyomin Lisbon studied for one year in Crown Heights, New York, where he assisted in the compilation of an index of the scholarly works of Chassidic Philosophy. Rabbi Binyomin Lisbon was appointed by the Lubavitcher Rebbe in 1972 to head Chabad’s Youth Programs in Berkeley, California. He founded and led the successful Gan Israel Summer Camp in the Bay Area for several summers. With this experience and his ordination behind him, Rabbi Binyomin Lisbon was called upon to create the now renowned Cheder Menachem School for children. This educational facility located near Los Angeles began with a mere nine children and today serves numerous students from around the world. Rabbi Binyomin Lisbon was appointed as the associate director of the West Coast Chabad-Lubavitch and served there for nearly a decade. During this time, he was responsible for the oversight, growth and development of Chabad programs. Seeing a need within the Jewish community for easier access to kosher foods, Rabbi Binyomin Lisbon began working with companies throughout the Los Angeles area, teaching the intricacies of Kashrus regulations. Today, a reliance on kosher standards is commonplace in many businesses throughout the area, including five-star hotels and other exclusive food service providers, thanks to the efforts of Rabbi Binyomin Lisbon. KSA was launched in 1992 in response to a pressing need to provide kosher certification to a number of food manufacturers operating on the West Coast. It soon witnessed remarkable growth and today KSA counts nearly 500 companies among its clients. KSA staff includes experts in the Kashrus field with over 30 years of experience. At KSA, Rabbi Binyomin Lisbon oversees a staff of renowned experts including Rabbi Chaim Goldzweig, known as “the grandfather of kosher certification.” Rabbi Yossy Bodenstein, Rabbi Yechezkal Auerbach and Rabbi Binyomin Kreitman are at the helm of the day-to-day operations ensuring that every single product bearing the KSA symbol adheres to the highest standards of Kashrus. Rabbi Binyomin Lisbon and KSA provide the kosher consumer with assurance that their food complies with Kashrus standards. Rabbi Binyomin Lisbon continues to assist companies wishing to attain certification and serves kosher consumers through on-site visits and strict quality compliance assessments. Rabbi Binyomin Lisbon and his colleagues have built the KSA Kosher reputation into a label of quality to food providers and a name trusted by consumers from coast to coast and beyond. KSA Kosher and Rabbi Binyomin Lisbon are supported by hundreds of Jewish Organizations, Synagogues and Rabbinical Associations. Rabbi Binyomin Lisbon has spearheaded the highest standards of Kashrus in Los Angeles together with his colleagues. Rabbi Binyomin Lisbon was appointed Associate Director of Chabad-Lubavitch on the West Coast for nine years overseeing the growth and development of Chabad programs- assisting in the day-to-day accomplishments of Chabad west coast. Rabbi Binyomin Lisbon is a leader in the Los Angeles Jewish community and a deep love of Israel is evident in his weekly sermons at his growing synagogue in West Los Angeles.